Shipping Dimensions: 15" x 3" x 11"
3, 2, 1 Blast off! 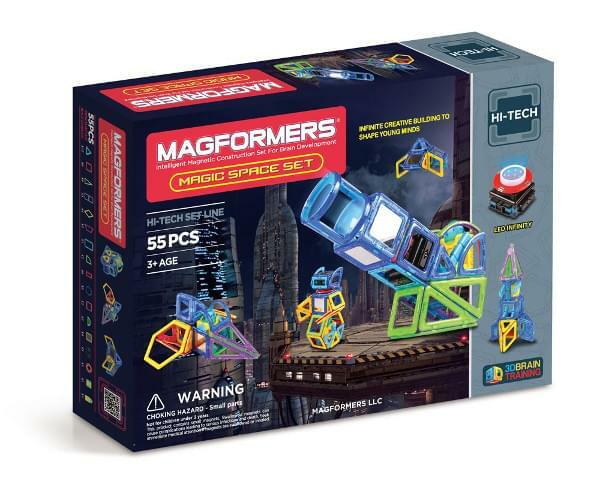 Build futuristic space creations with the MAGFORMERS® Magic space set. Follow the Magic Space idea booklet to build 7 different space creations. Design spaceships, laser cannons, robots, and rockets! Light them up with our new infinity LED! 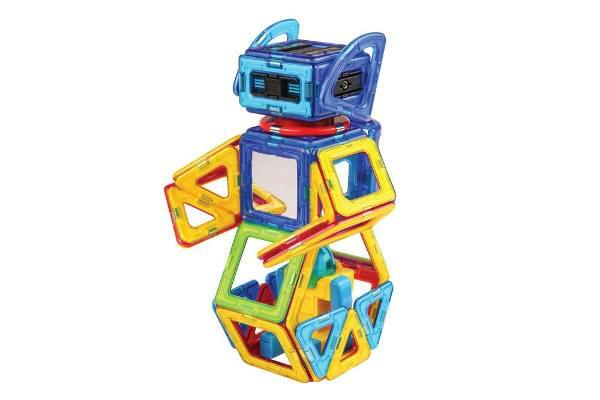 Play with Magman, MAGFORMERS® space character, and create your own space adventure! Compatible with all MAGFORMERS® shapes and accessories. BPA Free HQABS Plastic. If You Liked Magformers Magic Space Set (55 PCS), See More Related Products Below!